With all of our electronic devices, it seems like my house is over run with cords and wires. 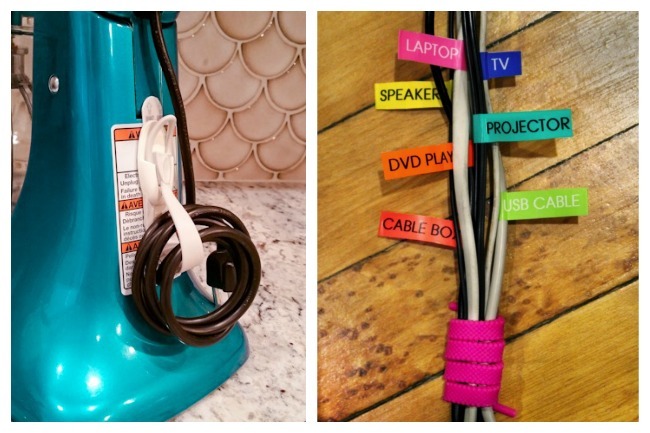 So I’ve been on the hunt to find some functional and cute ways to organize cords. Luckily, I found a bunch! 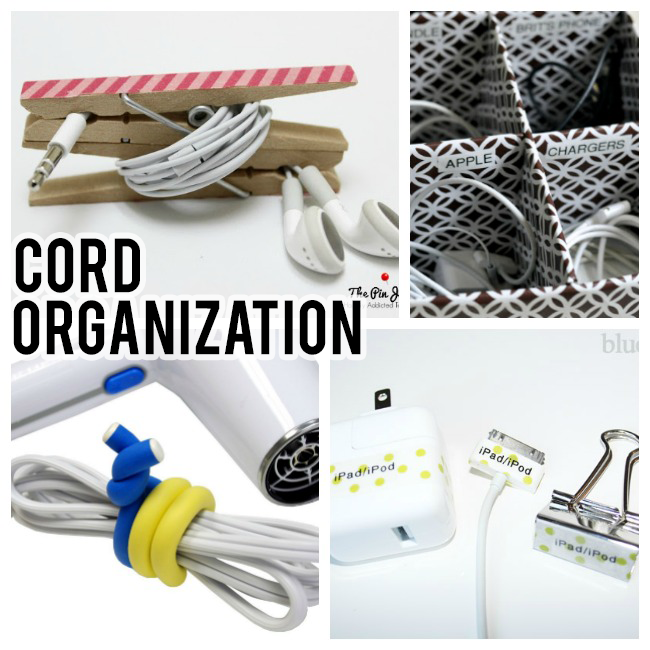 If you have strings of cords all over the place like we do, take note of these great cord management ideas. 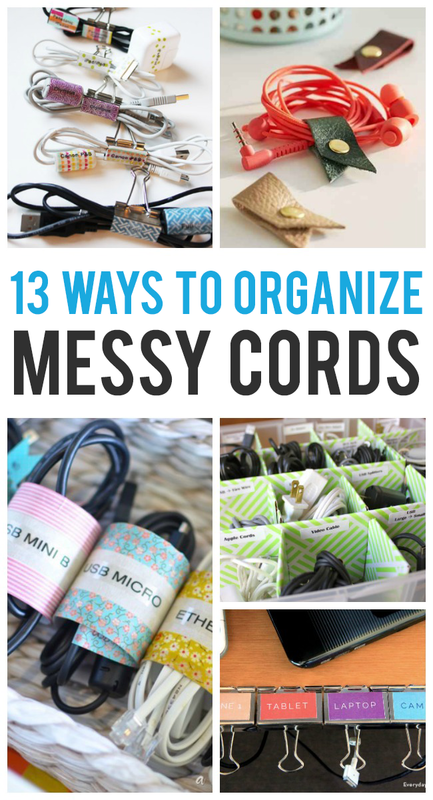 These will get you organized in no time! These bendable cord ties can be used over and over to keep your cords from getting tangled. These leather snaps will keep everything together and un-tangled. 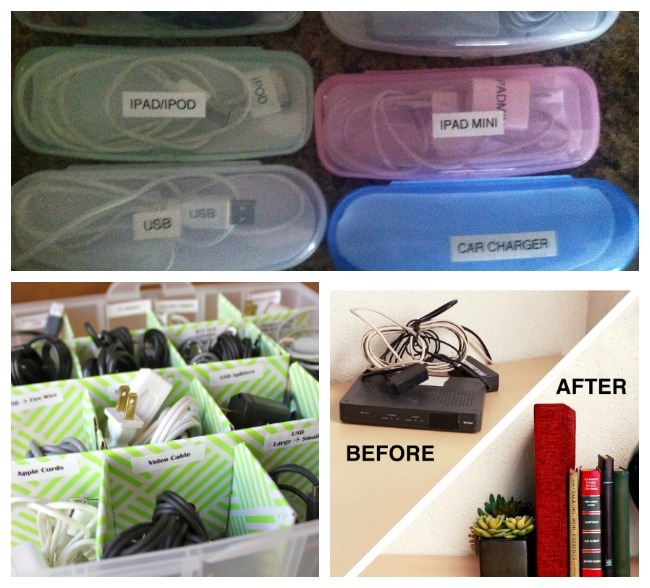 Also try these cord boxes that do an awesome job of concealing clutter! Ready to organize the entire house? We LOVE this declutter course! It’s perfect for busy families. For more cleaning and organization tips, follow our Facebook page! Well organizing cords is the one of the poor thing because they are everywhere in the house. This is the way we can get the google play codes online. Thank you so much for this info. Exactly what I was looking for! doesn’t go to the right page. I thought you might want to know.